Since I'm currently scraping by as a freelance writer, I unfortunately can't afford to buy books right now *insert sad face here* which I hate, but luckily I have an awesome library, so until I can have my own personal library filled with wall-to-wall books, the public library's the next best thing. This week I only got one book and that was because it was a reserve that I had to pick up. I always get way too many books, and because I'm a slow reader, I end up taking books back and getting them again at a later date. 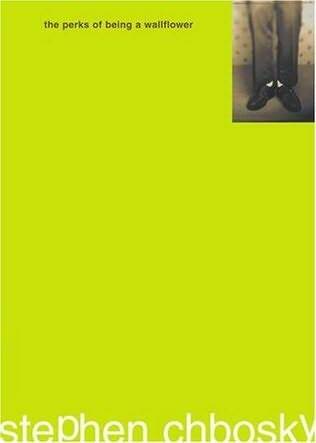 I wanted more new books this week but still have most of my books from last week, so this week's only new book is The Perks of Being a Wallflower by Stephen Chbosky. I've had this book on my list for awhile, and my cousin reminded me about it recently when she said she was going to read it, so I requested it. I finished Something Borrowed by Emily Giffin tonight, and really enjoyed it. I'll be adding a book review for it sometime this coming week. 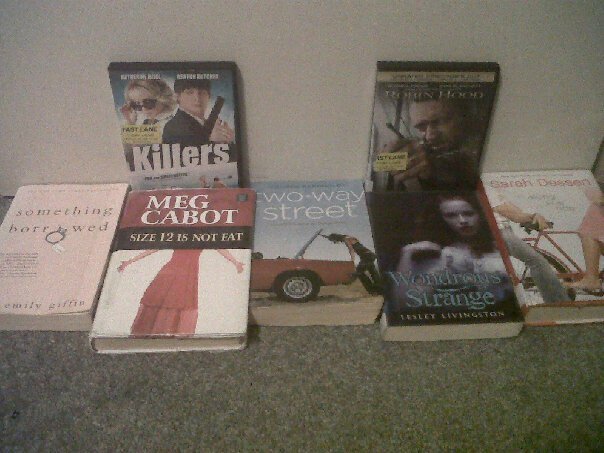 Last week's library loot that still needs to be read includes: Size 12 is Not Fat by Meg Cabot, Two-Way Street by Lauren Barnholdt, Wondrous Strange by Lesley Livingston, and Along for the Ride by Sarah Dessen, which I started tonight. I also got 2 movies: Harry Potter and the Deathly Hallows Part 1, which I haven't seen since it was in theatres, and The King's Speech, which I've been dying to see. Looking forward to watching both of those, and hopefully getting more books read this week. I want to see King's Speech. Enjoy your books! Enjoy your books and your films!